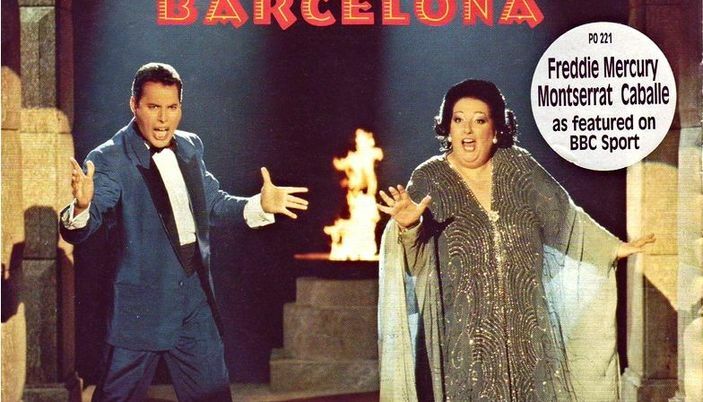 Barcelona is a song and an album recorded by Freddie Mercury, the front-man of the popular British rock band Queen, and operatic soprano Montserrat Caballé. The album was recorded in 1987 and 1988, and released in 1988. 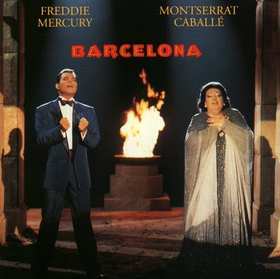 After Barcelona was selected to be the next Olympic city, Freddie was approached to write a song as a theme for the forthcoming games. The idea was to create a duet with Montserrat, as she is from that city. During the initial meetings, Freddie and Montserrat had developed a respect for each other's music and voices. They soon decided to work on an album together, with Mercury and Mike Moran taking the creative lead as songwriters. All songs by Freddie Mercury & Mike Moran, except where noted. The song was composed by Mercury and includes violins by Homi Kanga and Laurie Lewis, cello by Deborah Ann Johnston, horn by Barry Castle and percussion by Frank Ricotti. It was written to be the theme song of the 1992 Summer Olympics in Barcelona, but was replaced due to Freddie's death. It was however performed live at the opening by Montserrat, with Freddie's voice recordings and it was used as the title music to the BBC's coverage of the 1992 Summer Olympics. The music video was filmed at the world's largest nightclub, Privilege in Ibiza. Russell Watson covers it on his album The Voice.